Answers to questions asked through Ask A Scientist are posted here. Questions are answered by Bethan Davies. Does the Antarctic Ice Sheet transport glacial erratics? Thank you for your question on glacial erratics. Below is a summary of the main debris transport pathways in glacial systems. Debris can be supplied to a glacier system from supraglacial or subglacial sources. Supraglacial sources include rock or snow avalanches from valley sides or mountain peaks that rise above an ice sheet/cap surface (these are known as nunataks). Debris of a smaller grain-size (e.g. 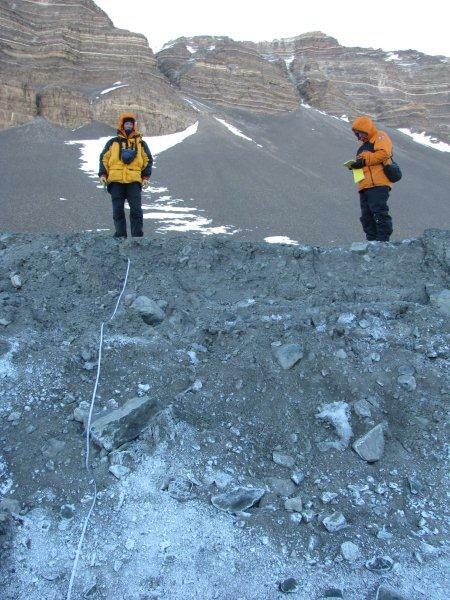 volcanic ash, dust) can also be added to glacier surfaces from windfall. Subglacial debris can either be derived from erosion at the glacier bed, or where supraglacial debris is lowered through a glacier (e.g. via crevasses or moulins). Whether debris is supplied at the glacier surface (supraglacial) or at the bed (subglacial) goes some way in determining its transport pathway. Debris transported on a glacier surface is referred to as high-level debris transport. This material is also commonly termed passively transported debris because there is little modification of rock debris transported on the glacier surface. However, debris that falls on the glacier surface does not always remain there. It may descend to an englacial or subglacial position due to burial within primary ice stratification in the accumulation zone, or it may descend through crevasses or moulins. 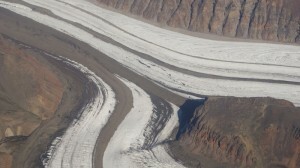 By contrast, debris transported at the glacier bed is known as low-level debris transport. This type of debris is often termed actively transported because it is modified (e.g. rock edges are rounded off) during the process of transport. At the bed, debris can be transported via traction, within subglacial meltwater streams, or within the basal ice itself. Once entrained in basal ice debris may be transferred to different levels in a glacier. The folding and thrusting of ice as it deforms (e.g. where squeezed between narrow valley walls) can be enough to elevate basal debris into englacial, or even supraglacial, positions. Similarly, basal debris often emerges at the glacier surface close to the snout, due to compressive ice flow (put simply, slower flowing ice at the margin may be overridden by faster flowing ice immediately up-glacier, bringing with it basal debris). To return to your question about Antarctic erratics, like all glaciers, debris is transported at the surface, within, and at the bed of the Antarctic Ice Sheet. An interesting point to note is that there is very little terrain above the ice sheet surface in Antarctica, which almost completely submerges the underlying topography (including mountain chains). This provides a natural limit on the amount of debris supplied to the ice sheet surface. However, surface debris does occur, and erratic rocks have been identified from past advances of the Antarctic Ice Sheet, such as those on James Ross Island, and they provide a valuable means of reconstructing ice sheet history through cosmogenic isotope dating techniques. I hope this answer has been useful in outlining the main transport pathways in Antarctic glaciers, and glacial systems more generally. Do not hesitate to get in touch with more questions! How much of the Antarctic Ice Sheet is below sea level? Hi Luke, thanks for your question! An answer to your question can be found in the recent BEDMAP2 (an ice bed, surface, and thickness dataset for the Antarctic Ice Sheet) paper. 5.50 x 10^6 km^2 (or 5,500,000 km^2) of ice is grounded below sea level. The total area of the ice sheet is 12.295 x 10^6 km^2 (or 12,295,000 km^2). Therefore, ~45% of the ice sheet is grounded below sea level. What is the source of Larsen C Ice Shelf? Looking at maps of Larsen C, the area of the shelf is many time larger than the area of the glaciers that I assume would accumulate snow and feed it. This made me wonder about the source of the Larsen Ice Shelf. Is most of Larsen C’s ice mass originally from the glaciers or was it accumulated in place as snow falls on the shelf itself? Great question! The ice shelf receives mass from the glaciers on land that flow into it, and from snowfall directly on to the ice shelf, and from sea water freezing on to its base. It loses mass by submarine melting, sublimation and calving icebergs. Is the breakaway of the Larsen C Iceberg normal? My Question: In 1911 – the Titanic sank due to icebergs in the shipping lanes – was this Global Warming? Probably not? You are completely right that iceberg calving is a completely normal process in Antarctica. Antarctica loses about 1089 Gt of ice per year through calving icebergs – exceeded only by basal melt. This iceberg is unusually large, but we cannot attribute its calving event directly to climate change. We could only do this if we saw a sustained increase or change in calving behaviour over a long period of time, and were able to exclude dynamic factors that can cause changes in calving behaviour. We are concerned that the calving of the iceberg might destablise Larsen C Ice Shelf and make it more vulnerable however – more information here. How do we know how old the Antarctic Ice Sheet is? The oldest penetrated Antarctic ice is about 800,000 years old. However, I have read that the Antarctic Ice Sheet has been present for several millions of years. Is there any direct evidence for older ice, or is it simply an inference from dC18 values from somewhere, or something like that? Do global sea-level curves support the older ice story? That is a great question. In fact, there are several ways in which we know when ice first began to accumulate on the Antarctic continent. Firstly, offshore seismic surveys and drilling campaigns of sediments on the continental slope and shelf. These sediments are dated using biostratigraphical methods (such as dinoflagellate cysts), strontium isotopes analysis on pristine shells, and by isotopic analysis of volcanic rocks (see Davies et al., 2012). Some of this evidence comes from the Antarctic Peninsula, summarised here. This is supported by the deep-sea record of del18O, which is a proxy for global ice volume, and global eustatic sea level change. Together, these indices suggest that glaciation began on Antarctica around 35 million years ago. Davies, B.J., Hambrey, M.J., Smellie, J.L., Carrivick, J.L., Glasser, N.F., 2012. Antarctic Peninsula Ice Sheet evolution during the Cenozoic Era. Quaternary Science Reviews 31, 30-66. What do I need to study to become a glaciologist? Thanks for your question! Glaciology encompasses a number of disciplines, from maths, physics and chemistry, geology and geography. A science background is necessary but there is a huge range of specialities within glaciology, ranging from numerical modelling (needs maths and physics and computer science) to geomorphological mapping (needs Geography or Geology). A degree in a science subject, followed by a Masters and most likely a PhD is the route into becoming a professional glaciologist. Do glaciers recede during summer and advance during winter? Is there a significant cyclic variation in the position of the glacier terminus along the year? This is a great question. In some areas with glaciers with especially fast response times, this may indeed be the case. Some glaciers in places like Scandinavia and Iceland have small annual moraines, which form each year, as the glacier recedes in the summer and the terminus position stabilises in the winter. However, this is not the case for most glaciers, as the response time of the glacier is typically longer than a single year. Icebergs ‘ground’ on the ocean floor when their keel is deeper than the water depth. They may become stuck until high tide floats them off, or if they are washed into a shallow area, until they melt sufficiently to float away. I was wondering how ice cores are dated accurately. I know Carbon 14 is one method, but some ice cores go back hundreds of thousands of years. Would other isotopes with longer half-lives be more accurate? Also, how much does it cost to date the core? How are samples acquired without destroying the ice? I imagine keeping the ice intact as much as possible would be extremely valuable. Some of the answers to these questions are available on the Ice Core Basics page. Ice cores can be dated using counting of annual layers in their uppermost layers. Dating the ice becomes harder with depth. Other ways of dating ice cores include geochemisty, wiggle matching of ice core records to insolation time series (Lemieux-Dudon et al. 2010), layers of volcanic ash (tephra) (Vinther et al., 2006), electrical conductivity, and using numerical flow models to understand age-depth relationships (Mulvaney et al., 2012), combined with firn densification modeling to estimate the delta-age (Lemieux-Dudon et al. 2010). Usually multiple methods are used to improve accuracy. Common global stratigraphic markers are palaeo-events that occur worldwide synchronously, and can allow wiggle-matching between ice cores and other palaeo archives (e.g., marine sediment cores). For the ice matrix, these global stratigraphic markers can include spikes in volcanic ash (each volcanic eruption has a unique chemical signature), or volcanic sulfate spikes. For the gas phase, methane, and oxygen-18 isotopic ratio of O2 have been used (Lemieux-Dudon et al. 2010). Uranium has been used to date the Dome C ice core from Antarctica. Dust is present in ice cores, and it contains Uranium. The decay of 238U to 234U from dust in the ice matrix can be used to provide an additional core chronology. Beryillium-10 has also been used to date ice cores. Ice cores are expensive to collect, house and keep. They must be stored continuously at a specific temperature. The American National Ice Core Laboratory provides some information on how they store and keep ice cores. 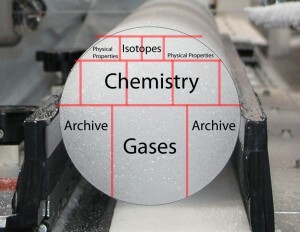 When ice cores are analysed, they may be cut or sectioned, with half the sample remaining as an archive. As the ice must be melted for analysis, the sample is usually destroyed during analysis. Lemieux-Dudon B, et al. Consistent dating for Antarctic and Greenland ice cores. Quaternary Science Reviews 29, 8-20 (2010). Mulvaney R, et al. Recent Antarctic Peninsula warming relative to Holocene climate and ice-shelf history. Nature 489, 141-144 (2012). The news about the effect of climate change in the Arctic centres on the loss of polar bears. Will there be a similar effect with wildlife in the Antarctic? Parts of Antarctica are warming rapidly, and this is affecting snowfall, snowmelt, sea ice distribution and thickness, and ice shelves. Different species are affected in different ways by these processes. Emperor penguins are often cited as one of the most vulnerable animals. Over the past 50 years, the population of Emperors in Terre Adelie has decreased by 50% because of a decrease in adult survival during the late 1970s, when there was a prolonged warm period with decreased sea-ice extent (Barbraud and Weimerskirch, 2001). Across the Western Antarctic Peninsula, winter temperatures are increasing and sea ice extent is decreasing, both of which profoundly affect the ecosystem. This has affected the krill population in the area, as krill are dependent on winter sea ice. 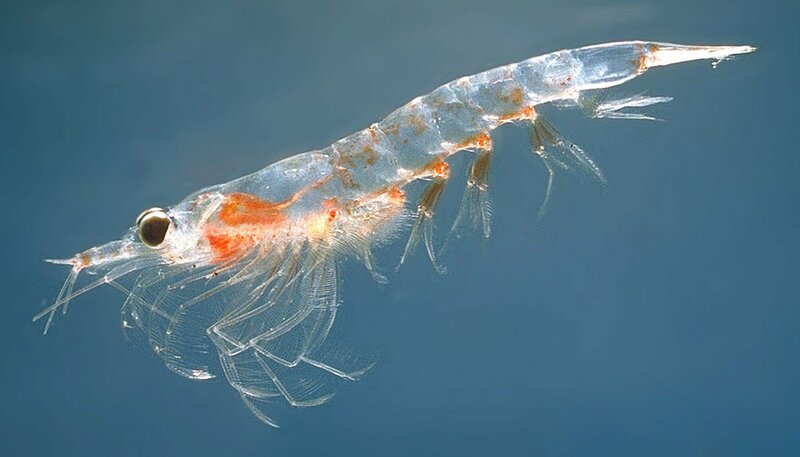 Krill forms the basis of the Antarctic food chain and is a staple food for both Chinstrap and Adelie penguins. As krill abundance decreases, Adelie and Chinstrap penguin populations continue to decline (Trivelpiece et al., 2011). Barbraud C, Weimerskirch H. Emperor penguins and climate change. Nature 411, 183-186 (2001). Trivelpiece WZ, Hinke JT, Miller AK, Reiss CS, Trivelpiece SG, Watters GM. Variability in krill biomass links harvesting and climate warming to penguin population changes in Antarctica. Proceedings of the National Academy of Sciences 108, 7625-7628 (2011). What is the headwall of a glacier? The headwall of a glacier is the rocky wall at the top end (head) of a glacier. There are some nice illustrations here. How is it possible that by decreasing pressure on an ablation area (due to stress reduction) an an enhancement on ice motion is obtained. I’m trying to figure out how is it possible that by decreasing pressure on an ablation area (due to stress reduction) an an enhancement on ice motion is obtained. It would be very useful for me if you could explain it through a simple example cause I’m not a scientist. Thanks! Ice velocity is driven by the weight of the ice and surface slope. A glacier is a pile of ice, and as such, deforms under the force of gravity. Glaciers flow downslope because they accumulate mass (ice) in their upper portions (from precipitation and from wind-blown snow) and ablate (melt, sublimate and calve ice bergs) in their lower portions. Glaciers always flow downslope through the processes of ice deformation and basal sliding. Ice is slippery when wet, so for many, perhaps the real question, is why doesn’t ice flow faster! That’s because glacier flow is resisted by friction at the base of the glacier and at the margins of the glacier. I’m not sure I understand your question; glaciers may flow faster in their ablation zones because the surface slope is steeper (accumulation zones are often rather flat) or perhaps they have less resistance from the valley sides. This page on glacier flow may be useful. Do you still feel the cold through the many layers of clothing that you wear? Hello, we are 25 Primary 5 pupils from Inverness. We are studying Antarctica as our topic and would love to communicate with a scientist who has worked in Antarctica. We hope you can answer some of our questions. Is it hard/slippy to walk on the ice? Are you able to eat fresh fruit and vegetables or is the food you eat all from packets? Is it cold inside or do you have heaters? How long do people stay in Antarctica and is it hard living there? What do you do in your spare time? What is your job in Antarctica? I was thrilled to receive these questions! Here I have tried to answer each one. Antarctic scientists wear lots of layers that are designed to keep us warm when we’re working outside. One of the most important is a down jacket filled with warm feathers, which keeps us cosy even when it’s well below zero! The images below shows us working when it was about -25 degrees Celsius, but the warm jackets, gloves, hats, buffs and scarfs keep us warm. 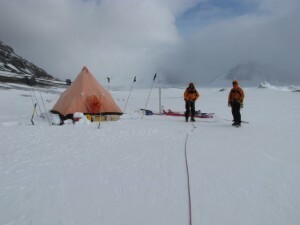 Mike Hambrey and Bethan Davies working in Antarctica. Photo credit: Ian Hey. Below: Ian and Mike Hambrey on a moraine. Photo credit: Bethan Davies. We do still sometimes get cold of course, but we quickly warm up with a thermos of coffee or tea and some chocolate! We also sometimes take breaks in a bothy, which is like a tent that you can put up very quickly and shelter in. 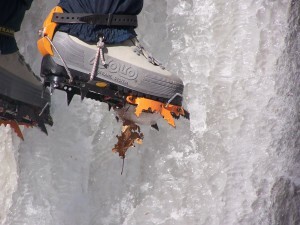 The ice can be very slippery to walk on, so we wear crampons on our feet when walking on ice. They have sharp metal teeth that bite into the ice and stop us from slipping over. The image below shows someone ice climbing using crampons (from Wikipedia). When we are working deep field, away from the research bases, we only eat food from packets. So no fresh food or vegetables! This is because they are heavy and go off quite quickly. Weight is very important as everything must be flown in or carried in to the field site. When we are working on a research base, like Rothera, fresh food is available in the summer months when the bases are supplied by a ship. Bases are not supplied in the winter however, and so once the ‘freshies’ run out, that’s it! No more vegetables until the next ship arrives in the spring! The research bases are very warm and cosy inside. They are well insulated and have heaters so you only need to wear clothes like you might at home in the winter. When we’re camping in the field, we can use primus stoves to warm up the tent. The image below shows our three-man tent that we camped in for two months. 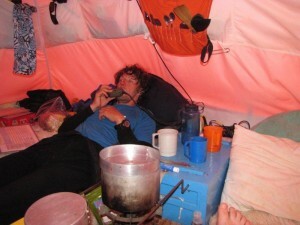 It is very cosy inside the tent, once you have lit the primus stove and tilly lamp. It is all rather comfortable! In the image below you can see a pot coming to the boil on the primus stove. The paraffin tilly lamp is hanging up, giving us light and heat. 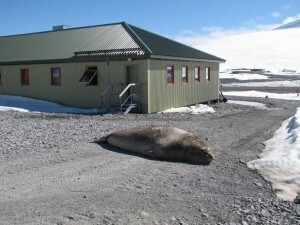 Research bases, like Rothera, must be manned all year around. So some people will go to Antarctica for up to 18 months to work on the bases. This includes people like plumbers, engineers, doctors, scientists, chefs, meteorologists, and all sorts of other people! Life can be hard as they do not get to see their family for all of the time that they are there. Other scientists, like me, can only work in the summer in Antarctica. So I only ever go down for up to three months at a time. When you’re on the base, you work a normal working week and have plenty of spare time. People use the internet, socialise with their friends, go for a walk, play games and cards, go skiing or sledging, ice climbing and all sorts of other activities in their time off. There is plenty to do! And there are always penguins to look at! The animals are often around the base and always provide entertainment. Here is an elephant seal outside my sleeping quarters! I’m a glacial geologist so I go to Antarctica to study the evidence for ancient glaciers. I’m interested in how past glaciations shaped the landscape in Antarctica and what that can tell us about how glaciers respond to climate change. The picture below shows me working deep field in Antarctica! Thank you for asking me all your questions! Icebergs form when chunks of ice break off (‘calve’) from a glacier or ice shelf that ends in the ocean. On average how long does it take for a glacier to build up before it starts to slowly move and slide? And how do Newton’s Laws affect a glacier the most? The slope of the ground. Where ρigh is the density of the ice (ρi), g is the acceleration due to gravity, and h is the thickness of the ice. This part of the equation is derived from Newton’s Second Law (F = ma), where the mass of the ice is the density times the height and the acceleration is the acceleration due to gravity. αS is the ice surface slope. Steeper slopes tend to result in faster-flowing glaciers. 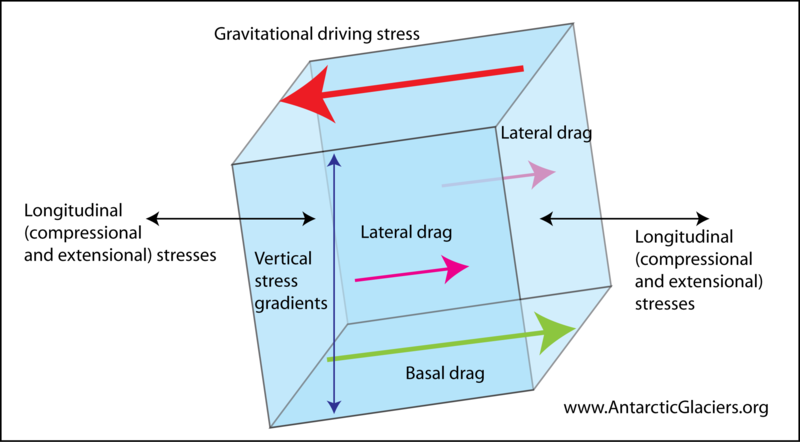 The gravitational driving stress is resisted by basal and lateral drag against the valley floor and walls. See more information on how glaciers flow here. The easiest way to think about mass balance is to liken it to a bank account. If you consistently have more going out than coming in, over time your bank account will decrease in size. If you consistently pay in more than you spend, your bank account will grow. It is the same with glaciers. If the mass balance is negative, the glacier will shrink; if it is positive it will grow; if it is in equilibrium (melt = accumulation), the glacier will be stable. If the size of the surfeit decreases, but accumulation is still greater than ablation, the glacier will continue to grow (although the rate of advance might slow). The other thing to think about is that glaciers are great smoothers of climate. They respond to long-term trends rather than annual or shorter timescales. One big dump of snow will not make the glacier advance noticeably. The timescale it takes for a glacier to respond is the response time. Finally, mass balance isn’t always the only control on glacier size. Iceberg calving in marine-terminating glaciers may strongly control glacier ablation. In addition, although glaciers might sometimes advance, this isn’t always as a result of a positive mass balance – they may be thinning or stretching (perhaps in response to calving dynamics), but still have a smaller volume of ice. What are the major drawbacks or limitations of cosmogenic nuclide dating of glacially transported boulders or glacially eroded bedrock in Antarctica? Insufficient erosion. Cold-based glaciers in Antarctica may transport erratic boulders slowly but may apply minimal erosion. This means that boulders or bedrock may have an ‘inheritance’, where they contain cosmogenic isotopes inherited from a previous exposure. This is particularly possible in bedrock. You can screen for this using a two isotopes with different isotopes (typically aluminium-26 and beryillium-10) but this will only pick up large-scale inheritance. Exhumation and burial. Periglacial environments are subject to strong rock cycling within the active layer, which can bury or exhume boulders, leading to inaccuracies in their estimated exposure age. Rolling and rotation. Landforms such as moraines are subject to degradation and anything on a slope moves downslope under solifluction. This can lead to previously hidden faces of the boulder being exposed, and again can lead to errors in age estimation. Burial by snow. This can be a problem in Antarctica, but it is windy, so if your boulder is in an exposed location and raised above the local land surface, it should not be a problem. Ideally the boulder should relate to a datable landform such as a moraine; the context that the boulder relates to is key. Are there glaciers at the South Pole? In fact, there are no glaciers at the South Pole. There is however a great ice sheet; ice sheets are masses of ice greater than 50,000 km2. At the South Pole, the East Antarctic Ice Sheet is hugely thick, with the ice flowing slowly towards the coast. 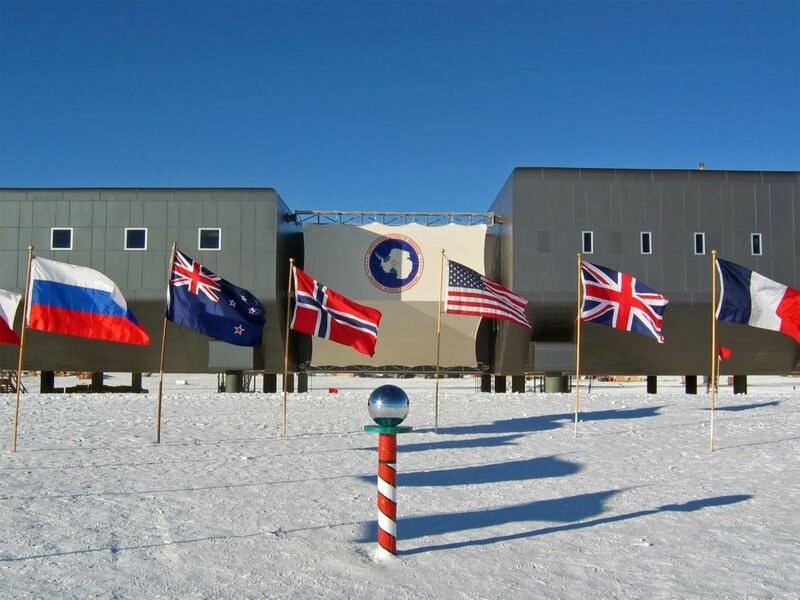 The image below shows the Amundsen-Scott South Pole Station, with the ceremonial South Pole and the flags for the original 12 signatory nations of the Antarctic Treaty. The South Pole is at 2835 m above sea level and lies 1300 km from the nearest open water (in the Bay of Whales). The East Antarctic Ice Sheet is 2700 m thick here. The South Magnetic Pole is where the Earth’s geomatnetic field lines are pointed vertically upwards. The South Geomagnetic Pole is the point where the axis of a best-fitting tilted dipole (like a bar magnet) placed at the centre of the Earth intersects the Earth’s surface in the southern hemisphere. Are the records from the Antarctic ice cores at odds with the records from the Greenland ice cores? The rhythm of climatic variability recorded in the Antarctic ice cores is very similar to that recorded in the Greenland ice cores. A difficulty in comparison is that the Greenland ice cores tend to be a higher resolution (annual layers) than the Antarctic ice cores, which diffuse more rapidly with depth. The ice core records have been linked using atmospheric trace gases, such as CH4; changes in the atmospheric methane content are generally equilibriated globally quickly. Changes in atmospheric methane content should therefore register contemporaneously in both polar ice sheets. There is a good match in both ice sheets between 10,000 and 52,000 years ago. age uncertainties older than this are too large for accurate matching. Ice-core records can also be linked using cosmogenic isotopes such as beryillium-10 and volcanic eruptions. During the period 10,000 to 52,000 years ago (during an ice-age climate), the stable isotope record of the Antarctic and Greenland ice cores are anti-phased. Cooling episodes in Greenland coincide with warming episodes in Antarctica (and vice versa). The consistent anti-phase behaviour has been called the ‘bipolar seesaw’; this is a driving mechanism that transfers energy alternately between the poles. The bipolar seesaw is driven by ocean circulation changes, such as changes to the Gulf Stream. This bipolar seesaw could operate in warmer periods, with twentieth-century climate in the Arctic and Antarctic being shown to vary in an anti-phase seesaw pattern. Warming in the Arctic has been accompanied by Antarctic cooling, and vice versa. There are some problems with the bipolar seesaw hypothesis. For example, there are significant time lags in temperature shifts, but dating uncertainties make it difficult to ascertain which pole leads and lags. It is likely that there are other factors, in addition to ocean circulation changes, that drive anti-phased temperature patterns. Lowe and Walker, 2015. Reconstructing Quaternary Environments. Are there any studies about Antarctic micro-organisms? There are many studies about Antarctic micro-organisms. Many organisms actually live on glaciers (see this post on glacier ecosystems). This is related to carbon fluxes on glacier ice. Moss grows in some of the more northerly parts. A quick search on Google Scholar reveals many papers about Antarctic micro-organisms. This paper is part of a Special Issue with many other papers about Antarctic ecology and biology. Is volume lost/gain or the mass balance of a glacier over the same period the best indicator of climatic change? Glacier volume and glacier mass balance are inextricably linked. Changes in glacier mass balance will cause a change in glacier length and volume. Glacier mass balance is very labour intensive to measure accurately in the field. It takes a lot of work in man-hours to accurately measure accumulation and ablation across a whole glacier, and to repeat this every season. There are therefore not that many glaciers with accurate, long-term measurements of surface mass balance. For this reason, scientists may use the simpler method of measuring volume and area change from satellite images to infer broader, regional glacier behaviour. This is useful, because glaciers are often affected by non-linear processes, and so analysing more regional volume / area change could be a better analysis of climate change. However, the time taken for a glacier’s volume to readjust to a change in surface mass balance is the response time. A glacier may take some time to readjust to a change in climate. So long-term mass balance measurements may provide a more immediate indication of a glacier’s health. In summary, glaciologists use both methods – volume change and surface mass balance change – to assess the affect of climate change on glaciers. What is relation between mass balance and volume balance? what we can infer from mass balance ? what we can infer from volume estimations? Is both are required to know the glacier health? Is there any relation between glacier velocity, mass balance and volume? Kindly explain me in simple terms. Mass balance is the sum of all the inputs to a glacier system minus all the outputs – so all the snow, avalanches, wind-blown snow, minus all the surface meltwater runoff, iceberg calving, submarine melting on a marine-terminating glacier, and so on. The glacier balance velocity is the velocity required for a glacier, which is in equilibrium with climate, to maintain a certain size with a given mass balance. All the accumulated snow must be moved down to the end of the glacier where it is ablated (melted). I’m not sure what you mean by volume balance, but essentially, if the inputs equal the outputs, then the glacier will remain stable – neither advancing nor receding. If the inputs are greater, the glacier will advance. If the outputs are greater, the glacier will recede. Mass balance is therefore an estimate of glacier health. A glacier with a negative mass balance will recede. The majority of glaciers in the world have a negative mass balance. If you found an air bubble trapped in ice how would you determine how old it was? We only know the age of ice by looking at its context. Just like you can’t know how old a pebble you find on the beach is without knowing its geological stratigraphic context, we need to look at the whole ice column to work out how old an individual air bubble is. One of the key ways in which ice is dated is by taking a long ice core and counting the annual layers. Ice forms distinctive annual layers, like tree rings – so by counting the number of layers, you would know how old the air in the bubble was. As you go deeper into the ice core, you need to use other methods to calculate age – such as layers of volcanic ash from known eruptions, radiometric dating, geochemistry, electrical conductivity and by applying numerical models and account for glacier flow. Is there any evidence to show that glaciers have been shrinking due to global warming? Glaciers are shrinking world-wide, and the rate of recession is generally increasing. It is difficult to relate the behaviour of individual glaciers to climate change, but the general trend of accelerating recession is indicative of a world-wide response to global warming. Glaciers are a ‘natural thermometer’, as their changes are the result of an integrated response to climate. 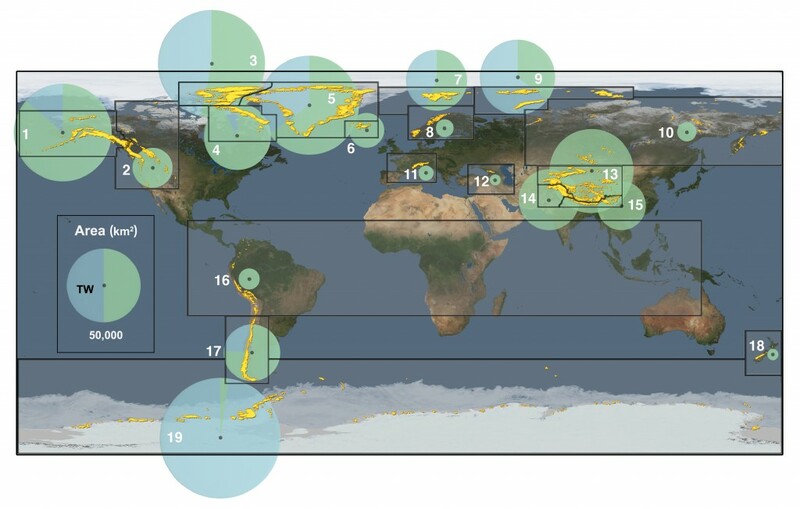 This figure shows the global distribution of glaciers. The diameter of the circle shows the area covered. The area covered by tidewater glaciers is shown in blue. The number refers to the RGI region. From the IPCC AR5 Working Group. We see glaciers shrinking particularly rapidly around the Antarctic Peninsula and I’ve written about Antarctic glacier recession here. Worldwide, the glaciers in Alaska, the Canadian Arctic, around the periphery of the Greenland Ice Sheet, the Southern Andes and the Asian mountains are shrinking fastest. We can observe and map glaciers and their recession by using satellite remote sensing. Observations of length changes generally show strong glacier recession. Selection of long-term cumulative glacier length changes as compiled from in situ measurements. From the IPCC AR5 Chapter 4. Since AR4, almost all glaciers worldwide have continued to shrink as revealed by the time series of measured changes in glacier length, area, volume and mass (very high confidence).Measurements of glacier change have increased substantially in number since AR4. Most of the new data sets, along with a globally complete glacier inventory, have been derived from satellite remote sensing. Between 2003 and 2009, most of the ice lost was from glaciers in Alaska, the Canadian Arctic, the periphery of the Greenland ice sheet, the Southern Andes and the Asian Mountains (very high confidence). Together these regions account for more than 80% of the total ice loss. 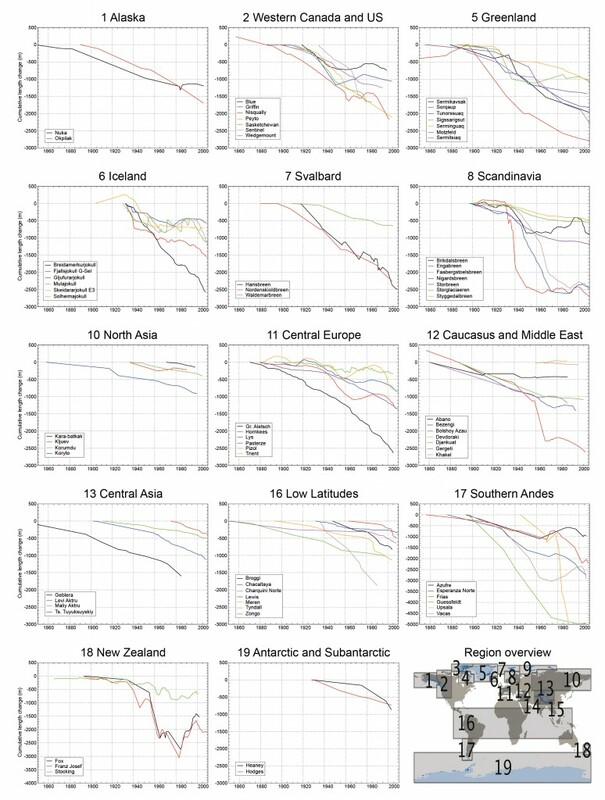 Total mass loss from all glaciers in the world, excluding those on the periphery of the ice sheets, was very likely 226 ± 135 Gt yr–1 (sea level equivalent, 0.62 ± 0.37 mm yr–1) in the period 1971–2009, 275 ± 135 Gt yr–1 (0.76 ±0.37 mm yr–1) in the period 1993–2009, and 301 ± 135 Gt yr–1 (0.83 ± 0.37 mm yr–1) between 2005 and 2009. Current glacier extents are out of balance with current climatic conditions, indicating that glaciers will continue to shrink in the future even without further temperature increase (high confidence). What organisms live on glaciers? In some parts of the world there are organisms living right on glaciers. Is this true for Antarctica as well and, if so, what organisms are there? Although the Antarctic ice sheets are cold, high and arid, and are a very harsh place to live, they support a surprising variety of microbial life. In fact, ice sheets are recognised as an ecosystem in their own right. There is life actually occurring under the ice, living in the film of water and in the lakes and flowing water at the base of the ice sheet. Bacterial life also occurs inside ice crystals – but metabolism is very slow. Life also occurs at the ice surface, with ice algae, ice worms and bacteria. Cryoconite accumulates in hollows on the ice surface; this comprises microbes bound to minerals. More information is on the Glacier Ecosystem and Carbon Flux on Glaciers webpages. What causes the hiatus in global warming? I have been wondering about the causes of the global warming slowdown (the so called hiatus). According to one hypotheses it could be explained by lack of measure stations in the Arctic and according to another (M. England and S. Sherwood) it could be explained by absorbation of heat into the Pacific Ocean where trade winds are supposed to play an important role. Similar phenomenon are observed in the Atlantic ocean (M. Mann). Recently variations in El Nino are also discussed as an explanation for the ‘hiatus’ which to me seems to be a smilar kind of explanationas the one by England and Sherwood. Do we have scientific support for both hypotheses or can one eliminate one? If both hypotheses are given scientific support does that mean that the global warming are underestimated? There are several possible explanations for the hiatus, including Pacific (& Atlantic) Ocean heat uptake, missing Arctic data, small volcanic eruptions, a decline in solar activity, Asian aerosol pollution, as well as others. There is some support for all these hypotheses, and I think it is clear that they may all be involved to some degree. The implications for the future are not entirely clear, but there is little evidence that the climate projections are systematically underestimating future changes. Hi, thank you for the opportunity to “Ask a scientist”…I am going round and round about the latest publication of the Western Antarctic ice melt by Eric Rignot. I have seen the latest on the NSIDC site and it shows the extent of the Antarctic to be larger than last year and is considered a record. Is there any conflict between these two seemingly disparate data? I was thinking that the extent does not take into consideration the thickness of the ice but I cant find any hard data to back me up…any help in this regard? Thanks a lot. I’m not sure I understand your question, but I’ll try. Firstly, I think you’re talking about sea ice extent. It’s important to note the difference between grounded land ice, sea ice, ice shelves and icebergs. It’s not easy! I wrote this to help: Ice shelves, icebergs and sea ice. These different types of icey things are all doing different things. Glaciers around the Antarctic Peninsula and in West Antarctica are generally receding. East Antarctica is generally considered fairly stable, but glaciers are retreating there too1, and there is evidence that it may have potential for instability2. Ice shelves around the Antarctic Peninsula are thinning and some have fragmented and disappeared3. Glaciers that used to flow into these now absent ice shelves are accelerating and receding, and it can take decades for them to regain equilibrium. The two papers in the news this week showed that Pine Island Glacier and Thwaites Glacier are accelerating and ice discharge is increasing, which suggests that rapid, irreversible recession may be imminent. In contrast to these changes, which directly result in increased rates of sea level rise, sea ice extent is increasing around some parts of Antarctica4. It isn’t uniform; sea ice is decreasing around the western Antarctic Peninsula, for example5. Sea ice extent is increasing most north of the Ross Ice Shelf6. It seems to be associated with decreased sea surface temperatures. There are several theories for this increase in sea ice. The first is that warm ocean currents are penetrating onto the continental shelf. They are driven by changes in atmospheric circulation. The incursion of relatively warm Circumpolar Deep Water onto the continental shelf and beneath ice shelves drives basal melting of ice shelves and marine-terminating glaciers and ice streams7. This results in a layer of cool, fresh water on the surface of the ocean that easily freezes, resulting in increased sea-ice extent6. Salinity, density and temperature stratification contribute to this water freezing more easily. Others have argued that sea ice extent is increasing as a result of changed atmospheric circulation8. This may be related to the present positive phase of the Southern Annular Mode, which involves an intensification and southward migration of Southern Ocean westerlies, which results in atmospheric cooling of some parts of Antarctica. This is an active area of research and scientists are very interested in investigating the reasons behind this trend. I expect several exciting papers will be published soon. 1. Miles BWJ, Stokes CR, Vieli A, Cox NJ. Rapid, climate-driven changes in outlet glaciers on the Pacific coast of East Antarctica. Nature 2013, 500(7464): 563-566. 2. Mengel M, Levermann A. Ice plug prevents irreversible discharge from East Antarctica. Nature Clim Change 2014, advance online publication. 3. Cook AJ, Vaughan DG. Overview of areal changes of the ice shelves on the Antarctic Peninsula over the past 50 years. The Cryosphere 2010, 4(1): 77-98. 4. Turner J, Overland J. Contrasting climate change in the two polar regions. Polar Research 2009, 28(2): 146-164. 5. Harangozo S. Atmospheric circulation impacts on winter maximum sea ice extent in the west Antarctic Peninsula region (1979–2001). Geophysical Research Letters 2006, 33(2). 6. Bintanja R, van Oldenborgh GJ, Drijfhout SS, Wouters B, Katsman CA. Important role for ocean warming and increased ice-shelf melt in Antarctic sea-ice expansion. Nature Geosci 2013, advance online publication. 7. Pritchard HD, Ligtenberg SRM, Fricker HA, Vaughan DG, van den Broeke MR, Padman L. Antarctic ice-sheet loss driven by basal melting of ice shelves. Nature 2012, 484(7395): 502-505. 8. Thompson DW, Solomon S. Interpretation of recent Southern Hemisphere climate change. Science 2002, 296(5569): 895-899. Where can I find out information on Pine Island Glacier? Did Lake Vostok exist prior to the Antarctic glaciation, or was it formed as a result of the formation of the Ice Age? 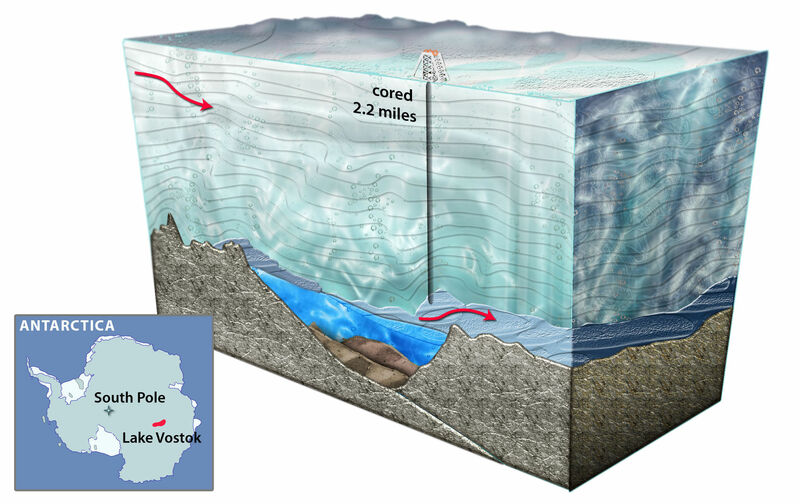 Subglacial Lake Vostok is a lake occupying a topographic hollow beneath the Antarctic Ice Sheet. Water occurs at high pressure beneath the Antarctic Ice Sheet and accumulates in topographic hollows. This hollow may have formed during pre-glacial or glacial times and is tectonically controlled. So, a lake may or may not have formed here during pre-glacial times and it is likely to have been below sea level. It has been continuously covered with ice for at least the last 15 million years. The image above is a cartoon of drilling into Lake Vostok. By Nicolle Rager-Fuller/ NSF. What kind of topographic features lie beneath the Antarctic Ice Sheets? What kind of topographic features lie beneath the Antarctic Ice Sheets? Is it mostly similar to what we have in North America, or are there new features we haven’t seen before? The Antarctic continent is usually divided up into three sectors: East Antarctica, West Antarctica and the Antarctic Peninsula. Each region has its own characteristics. We can look beneath the ice with radar, and as a result have built up a pretty good understanding of the topography beneath Antarctica. BEDMAP is a major initiative that has compiled all available ice-bed data, and you can see the results in the image below. BEDMAP 2, showing that the bedrock on which the West Antarctic Ice Sheet rests is well below sea level. Underneath the ice, the Antarctic Peninsula is a spine of mountains projecting northwards from the Antarctic continent. West Antarctica is actually grounded mostly below sea level; if all the ice disappeared, most of this would be ocean. East Antarctica, the largest sector of Antarctica, includes flatter plains and shield areas as well as mountains. The Gamburtsev Mountains are buried under thousands of metres of relatively cold ice, which have preserved a pre-glacial landscape. The mountain valleys resemble a pattern of river drainage. Location of the AGAP survey in East Antarctica (left) and the sub-ice topography of the Gamburtsevs (right) within the central AGAP survey grid (182,000 km2). The topography has been corrected to account for the removal of the ice sheet, so that elevations reflect those under ice free conditions, prior to glaciation. Note: LV – Lake Vostok. Image by Kathryn Rose. Why is it that generally lateral and medial moraines get washed away after a glacier melts, yet eskers do not? This essentially comes down to preservation potential of landforms. Eskers underneath ice sheets can be quite large features, filled in with sand and gravel. As a result, after ice-sheet recession, they form fairly robust features that can withstand post-glacial processes of wasting and redeposition. One of the most famous eskers in the UK is the Blakeney Esker in Norfolk. Lateral moraines are preserved in the landform record, but are often quite subtle features plastered onto hillsides, so are perhaps less obvious than large, prominent terminal moraines. 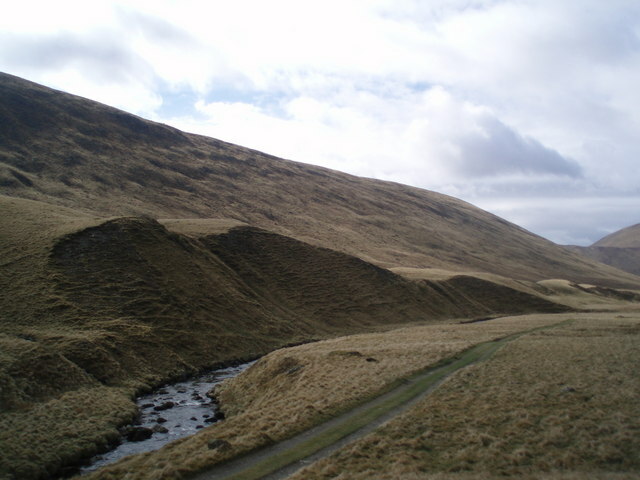 The photograph below is an example of a lateral moraine at Glen Isla in Scotland. The river Isla, close to its source at this point, has cut away at the lateral moraine deposits. From www.Geograph.org.uk. In contrast, medial moraines are often quite small, superficial features, resulting from supraglacial debris falling onto the glacier. In the photograph below, you can see that one of the medial moraines starts below a rocky outcrop, from rocks falling onto the glacier surface. They are therefore likely to contain less debris, and have less preservation potential, than a terminal moraine that is built up over a longer period of time in one position. Medial moraines may also form where two glaciers join, but again, although they look striking on the glaciers, they are unlikely to result in pronounced landforms once the glacier melts. Most of the debris will just end up building up at the terminal moraine position. In the aerial photograph below, you can see medial glacier moraines on the Nuussuaq Peninsula, Greenland. Medial moraines, which form on the glacier surface, may be ice-cored, which makes them seem like they contain more debris than they actually do. From Wikimedia Commons. What causes the steep increase in temperature during Heinrich Events and Dansgaard-Oeschger Events? Simple answer is that it is related to the rapid acceleration and reorganisation of the thermohaline circulation and the shift in state between stadial and interstadial conditions, which aids the rapid transport of heat to the Northern Hemipshere. The rapid changes in the marine environment are also related to rapid reorganisations in the atmosphere from the tropics to the high northern latitudes which aid in this heat transfer. Are there debris-covered glaciers in Antarctica? And if so, where are they? Debris-covered glaciers, those glaciers with layers of rock and debris on their surface, occur world-wide. They form part of a continuum with other icy, rocky features, such as rock glaciers. Debris-covered glaciers and rock glaciers both flow, resulting in their lobate forms. Rock glaciers are one end-member, with higher amounts of debris held together largely by interstitial ice, and clean ice is at the other end of the spectrum, with very little debris on the ice surface. The proportion of rock and ice within and on top of the ice is highly variable. Debris-covered glaciers and rock glaciers form when a high amount of debris falls on the ice surface. Debris-covered glaciers are not known from the interior of the Antarctic Ice Sheet, because the large ice sheet overwhelms local topography, meaning that a steady supply of rock is not available. To find them, we must look to the fringes of the Antarctic Ice Sheet. 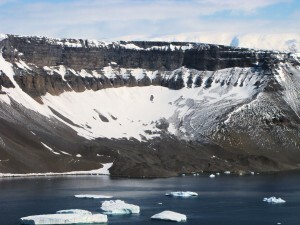 Rock glaciers are common on the Antarctic Peninsula, particularly on James Ross Island1, as shown in the photograph above. They form here at the base of scree slopes, and extensive periglacial activity ensures a steady supply of rocks. I have also observed them on Alexander Island, at Fossil Bluff. The other place where debris-covered glaciers occur is in the Dry Valleys of East Antarctica2. Compared with the Antarctic Peninsula, this area receives very little precipitation and the glaciers flow very slowly. Some of the glacier ice is millions of years old. Because of the limited precipitation, rocks falling steadily onto the surface of the glaciers builds up, resulting in debris-covered glaciers. 1. Davies, B.J., Glasser, N.F., Carrivick, J.L., Hambrey, M.J., Smellie, J.L., & Nývlt, D. Landscape evolution and ice-sheet behaviour in a semi-arid polar environment: James Ross Island, NE Antarctic Peninsula. 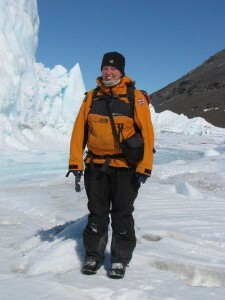 in Antarctic Palaeoenvironments and Earth-Surface Processes, M.J. Hambrey, P.F. Barker, P.J. Barrett, V.C. Bowman, B.J. Davies, J.L. Smellie, and M. Tranter, Editors. 2013, Geological Society, London, Special Publications, volume 381: London. 353-395. 2. Shean, D.E. &Marchant, D.R. Seismic and GPR surveys of Mullins Glacier, McMurdo Dry Valleys, Antarctica: ice thickness, internal structure and implications for surface ridge formation. Journal of Glaciology. 56, 48-64 (2010). How many glaciers are there in Antarctica? I’m an educator intern doing a display board about the different kinds of water on our planet. For glaciers, I want to write an interesting fact that kids can understand; can you tell me the total number of glaciers are in the Antarctic? An educated guess 🙂 Thank you! This is a very difficult question to answer! That is because it depends on how you count a ‘glacier’. Antarctica is largely made up of three ice sheets (Antarctic Peninsula, West Antarctic and East Antarctic), which are drained by outlet glaciers. Together, they contain 27 million km3 of ice. Some people divide these three ice sheets up further into 24 large drainage basins. These drainage basins can be further subdivided into outlet glaciers that drain the ice sheet. There are also many glaciers around the periphery of the three main ice sheets. Wikipedia lists over 500 of named glaciers. Many thousands more, both large and small, have no name as yet. I mapped 195 distinct glaciers on the northern tip of the Antarctic Peninsula alone, including outlet glaciers that drain the Antarctic Peninsula Ice Sheet and separate mountain glaciers and ice caps. Many of these have no name and so do not appear on the Wikipedia list. Bliss et al. found 1133 ice caps and 1619 mountain glaciers from glaciers around the periphery of the Antarctic Ice Sheet overall – so, exluding the three main ice sheets. So, the answer to your question, is that it depends on how you count a glacier. Do you only include peripheral glaciers, (in which case, 3 ice sheets, 1133 ice caps and 1619 mountain glaciers), or do you include the named outlet glaciers draining the three ice sheets (500 named and many more unnamed glaciers)? Hi there, I wonder if you can help me. I have to do a geography project on a cold environment and discuss how people, animals and plants adapt, how the seasons change and affect the people and how the environment affects the future of the region. I am in year 8 of secondary school. I know it sounds silly but can you clarify if the place I have chosen will fit the bill. It is the Siberian Tundra. I can see from the map that it is in the North of Russia. Do you think I have picked too wide an area to discuss? Should I choose an area within the Tundra specifically or will it work using the area as a whole? I’m not an expert in this area but it sounds like a good idea. If I were you I might try to focus in on a smaller area and cover it in more detail with specific examples, rather than trying to cover too much with less detail. I hope this helps. Does the Antarctic ice sheet have a gravitational effect on sea level? Interesting writing about West Antarctica. I’m interested also about West A and PIG. I read somewhere that Greenland icemass has gravitational effect drawing water 20-30 cm higher than normally. So , if all that ice would melt, sea water would not rise in northern areas but in southern areas more. Is that true and does Antarcica ice mass has such effect also? Yup, good question. Jarno is absolutely right in saying that the sea level would fall in regions close to a melting ice sheet – this is due to the decrease in the mass of ice and hence the decrease in the gravitational attraction between the ice sheet and the ocean. Jarno is also correcting in deducing that there would be a greater-than-average rise in sea level at locations furthest from the melting ice sheet. The effect is the same for both Greenland and Antarctica, i.e. if Greenland melts then sea-level rise will be greatest in the southern hemisphere, and if Antarctica melts then sea-level rise will be greatest in the northern hemisphere. In both cases, sea level would fall slightly within a few hundred kilometres of the melting ice sheet. If Jarno has access to Nature Geoscience then this is covered very nicely in ‘Identifying the causes of sea-level change’ by Milne et al. (2009)(doi: 10.1038/ngeo544); this paper includes lotsof useful references for further reading. If they don’t have access to Nature Geoscience, then the concept is also covered in the Sea Level chapter of the IPCC 5th Assessment Report (chapter 13) where it is referred to as ‘sea-level fingerprinting’. In particular, see FAQ13.1 Figure 2 of the Report for a good diagram showing the predicted pattern of sea-level rise if Greenland and West Antarctica both melt at a rate of 0.5 mm/yr. What are various solutions as to how humans can help preserve Antarctica, reduce the effects of enhanced climate change on it? Environmental damage caused by scientists and tourists visiting the continent. Reducing the effects of climate change means reducing our CO2 emissions. This means everyone making the effort to turn off lights, recycle, walk to work, take public transport, and so on. This will make the world a better place for all of us. In terms of reducing the number of invasive pests, rat and raindeer are already being removed in South Georgia. Ships must be as rat-free as possible, and containers showing signs of rat damage are not loaded onto the shore. Dogs and other non-native animals (such as horses or ponies) are no longer allowed in Antarctica. 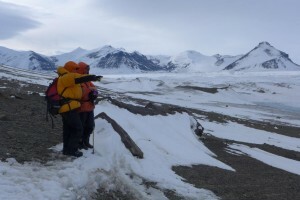 Scientists and tourists can act to minimise their environmental impact in Antarctica. As scientists working with the British Antarctic Survey, we complete an Environmental Impact Plan before fieldwork. We camp only on snow (so we don’t move rocks and cause environmental damage), remove all waste (including human waste), and remove old depots and rubbish where possible. Sustainable science and tourism in Antarctica requires taking positive action to minimise environmental impacts. 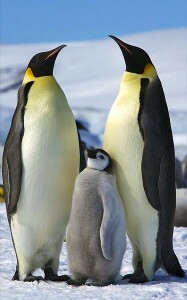 See more information here about environmental protection in Antarctica. What’s the difference between ‘Climate Change’ and ‘Global Warming’? Global Warming is the slowly increasing long term average mean annual air temperature of the world. Instrumental records worldwide record this increase in temperatures. However, this warming has a significant effect on our climate. It doesn’t just get warmer; different places warm at different rates. Changes in ocean and atmospheric circulation means that some places cool, and other places warm. Warmer air temperatures cause more hurricanes, more storms, more floods, cooler and sharper winters and wetter summers. In the future, dry places are likely to get drier, and wet places are likely to get wetter. This is Climate Change. Are glaciers in Antarctica continuing to melt because of global warming? In short, yes, they are melting! East Antarctica gains some snow, but for more is lost each year by the West Antarctic and Antarctic Peninsula ice sheets. In more detail, the story of melting glaciers in Antarctica is a complex one. Overall, the Greenland and Antarctic ice sheets are melting and contributing to sea level rise at a rate of 0.59 ± 0.20 mm per year, but the rate at which individual glaciers are melting varies by region1. A brand new publication by Sasgen et al. (The Cyrosphere, open access), shows that, overall, the mass balance of the entire Antarctic Ice Sheet was negative (-114 ± 23 Gigatonnes per year [Gt yr-1]) from January 2003 to September 20122. This new estimate lies within the range of previous estimates1, but takes into account improved calculations of glacioisostatic uplift. That means that the Antarctic Ice Sheet loses 114,000,000,000 tonnes of ice every year. In 2010, there were about 1,000,000,000 cars in the world, and the average weight of a car is about 1 tonne. So every year, the Antarctic Ice Sheet loses more mass than 100 times the mass of all the cars in the world. Every year. Of all the ice in Antarctica, the Antarctic Peninsula Ice Sheet is changing most rapidly. This spine of mountains extends further north than other regions, and the smaller mountain glaciers have shorter response times. In this region, warmer ocean currents are penetrating onto the continental shelf (driven by changing wind patterns, caused by rapidly warming air temperatures here)3,4. These warmer oceanic currents are melting ice shelves from below5. The increased summer melt season6 and warmer summer air temperatures7 lead to more meltwater ponding on ice shelves, which melt downwards and cause the ice shelves to disintegrate rapidly8-10. This has led to glaciers on the Antarctic Peninsula accelerating, thinning and receding in response to their changed boundary conditions, directly contributing to sea level rise, even 10+ years after ice-shelf collapse11. In addition to the changes in ice shelves, glaciers on the Antarctic Peninsula are thinning12, accelerating13 and receding9,14,15. Small mountain glaciers are particularly important contributors to current sea level rise16,17. The West Antarctic Ice Sheet had a mass balance of -116 ± 15 Gt yr-1 from 2003-20122. Glaciers around the West Antarctic Ice Sheet are currently thinning5,18, have a strongly negative mass balance19, and are accelerating19. Pine Island Glacier, one of the largest ice streams in Antarctica, drains a large proportion of the West Antarctic Ice Sheet and is showing dramatic dynamic behaviour, including ice-shelf thinning and recession. Mass loss is accelerating overall across the West Antarctic Ice Sheet. The East Antarctic Ice Sheet is the largest of the Antarctic ice sheets, and is generally considered to be more stable. It’s positive mass balance partially, but not completely, offsets ice-loss in the Antarctic Peninsula and in West Antarctica. It has a positive mass balance of 26 ± 13 Gt yr-1 2. The pattern of mass increase is bimodal, with mass loss acceleration in Wilkes Land and decreasing mass loss in Dronning Land and Enderby Land. The mass loss acceleration in West Antarctica is counterbalanced by this deceleration of mass loss in East Antarctica2. Mass balance anomalies and the observed positive mass balance is because snow fall has been increasing in the interior of the East Antarctic Ice Sheet20, resulting in ice-sheet thickening. This is because precipitation in the interior increases under a warmer global climate21. Some models predict that increased snow fall over the East Antarctic Ice Sheet will continue to offset mass balance losses elsewhere in Antarctica22. However, this may be offset by increased ice discharge, meaning that it will have little effect in mitigating global sea level rise. In addition, the layer of cold, fresh water around Antarctica caused by the release of large quantities of icebergs during glacier recession and ice-shelf collapse freezes more easily, resulting in more sea ice around Antarctica23. This may have the effect of reducing the amount of snowfall in East Antarctica in the future. A recent analysis of outlet glaciers along the Pacific coast of East Antarctica showed that glaciers respond quickly and coherently to air temperature and sea ice trends, linked through the Southern Annular Mode. This suggests that parts of this ice sheet may be more vulnerable to external forcing than previously thought24. Some glaciers, such as Totten Glacier, the largest discharger of ice within the ice sheet, are thinning and receding21. To summarise: yes, glaciers in Antarctica are continuing to melt. And ever more rapidly as well. 1. Shepherd, A. et al. A Reconciled Estimate of Ice-Sheet Mass Balance. Science 338, 1183-1189 (2012). 2. Sasgen, I. et al. Antarctic ice-mass balance 2003 to 2012: regional reanalysis of GRACE satellite gravimetry measurements with improved estimate of glacial-isostatic adjustment based on GPS uplift rates. The Cryosphere 7, 1499-1512 (2013). 3. van Lipzig, N.P.M., King, J.C., Lachlan-Cope, T.A. & van den Broeke, M.R. Precipitation, sublimation and snow drift in the Antarctic Peninsula region from a regional atmospheric model. Journal of Geophysical Research 109, D24106 (2004). 4. van den Broeke, M.R. & van Lipzig, N.P.M. Changes in Antarctic temperature, wind and precipitation in response to the Antarctic Oscillation. Annals of Glaciology 39, 119-126 (2004). 5. Pritchard, H.D. et al. Antarctic ice-sheet loss driven by basal melting of ice shelves. Nature 484, 502-505 (2012). 6. Barrand, N.E. et al. Trends in Antarctic Peninsula surface melting conditions from observations and regional climate modeling. Journal of Geophysical Research: Earth Surface 118, 315-330 (2013). 7. Vaughan, D.G. et al. Recent rapid regional climate warming on the Antarctic Peninsula. Climatic Change 60, 243-274 (2003). 8. McGrath, D. et al. Basal crevasses on the Larsen C Ice Shelf, Antarctica: Implications for meltwater ponding and hydrofracture. Geophysical Research Letters 39, L16504 (2012). 9. Glasser, N.F. et al. From ice-shelf tributary to tidewater glacier: continued rapid glacier recession, acceleration and thinning of Röhss Glacier following the 1995 collapse of the Prince Gustav Ice Shelf on the Antarctic Peninsula. Journal of Glaciology 57, 397-406 (2011). 10. Scambos, T. et al. Ice shelf disintegration by plate bending and hydro-fracture: Satellite observations and model results of the 2008 Wilkins ice shelf break-ups. Earth and Planetary Science Letters 280, 51-60 (2009). 11. Berthier, E., Scambos, T. & Schuman, C.A. Mass loss of Larsen B tributary glaciers (Antarctic Peninsula) unabated since 2002. Geophysical Research Letters 39, L13501 (2012). 12. Kunz, M. et al. Multi-decadal glacier surface lowering in the Antarctic Peninsula. Geophys. Res. Lett. 39, L19502 (2012). 13. Pritchard, H.D. & Vaughan, D.G. Widespread acceleration of tidewater glaciers on the Antarctic Peninsula. Journal of Geophysical Research-Earth Surface 112, F03S29, 1-10 (2007). 14. Cook, A.J., Fox, A.J., Vaughan, D.G. & Ferrigno, J.G. Retreating glacier fronts on the Antarctic Peninsula over the past half-century. Science 308, 541-544 (2005). 15. Davies, B.J. & Glasser, N.F. Accelerating recession in Patagonian glaciers from the “Little Ice Age” (c. AD 1870) to 2011. Journal of Glaciology 58, 1063-1084 (2012). 16. Gardner, A.S. et al. A Reconciled Estimate of Glacier Contributions to Sea Level Rise: 2003 to 2009. Science 340, 852-857 (2013). 17. Hock, R., de Woul, M., Radic, V. & Dyurgerov, M. Mountain glaciers and ice caps around Antarctica make a large sea-level rise contribution. Geophysical Research Letters 36, L07501 (2009). 18. Pritchard, H.D., Arthern, R.J., Vaughan, D.G. & Edwards, L.A. Extensive dynamic thinning on the margins of the Greenland and Antarctic ice sheets. Nature 461, 971-975 (2009). 19. Rignot, E. et al. Recent Antarctic ice mass loss from radar interferometry and regional climate modelling. Nature Geosci 1, 106-110 (2008). 20. Davis, C.H., Li, Y., McConnell, J.R., Frey, M.M. & Hanna, E. Snowfall-Driven Growth in East Antarctic Ice Sheet Mitigates Recent Sea-Level Rise. Science 308, 1898-1901 (2005). 21. Rignot, E. Changes in ice dynamics and mass balance of the Antarctic ice sheet. Philosophical Transactions of the Royal Society A: Mathematical, Physical and Engineering Sciences 364, 1637-1655 (2006). 22. Winkelmann, R., Levermann, A., Martin, M.A. & Frieler, K. Increased future ice discharge from Antarctica owing to higher snowfall. Nature 492, 239-243 (2012). 23. Bintanja, R., van Oldenborgh, G.J., Drijfhout, S.S., Wouters, B. & Katsman, C.A. Important role for ocean warming and increased ice-shelf melt in Antarctic sea-ice expansion. Nature Geosci advance online publication(2013). 24. Miles, B.W.J., Stokes, C.R., Vieli, A. & Cox, N.J. Rapid, climate-driven changes in outlet glaciers on the Pacific coast of East Antarctica. Nature 500, 563-566 (2013). I am an A Level student studying geography. I have recently taken up an EPQ (extended project qualification) and I am thinking about doing it on the Antarctic glaciers/ice shelves. Is there a specific area within this that you would recommend researching into? What exactly does your project involve? A literature review? An extended essay? If so, then an investigation into the causes and effects of Antarctic ice-shelf collapse could work well. You could investigate which ice shelves have collapsed, why they have collapsed, and the on-going impacts of this collapse. Alternatively, you could pick a glacier or ice stream, like Pine Island Glacier, Thwaites Glacier or Byrd Glacier, and investigate how it is responding to climate change. See the Glaciers and Climate page. A third option might be to take a longer-term view, and perhaps investigate how the Antarctic Peninsula Ice Sheet, for example, behaved during the Last Glacial Maximum. 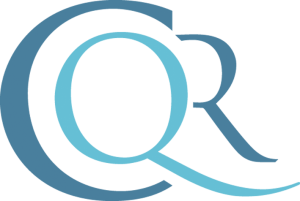 You might find some of these resources useful, and look through the other websites on the Links page for more information on different glaciers. A critical thing will be to ensure you have enough resources to carry out your project. The important thing is to decide what interests you and go from there. What are periglacial environments and land forms. What are the types and examples of this? Periglacial landforms are landforms created by perennially frozen ground that it subject to freeze-thaw processes. You can read more about it on the Periglacial page. How can I find results from the IceBridge radar survey? In October of 2012 a plane from the IceBridge mission made a radar survey of the gateway area of the Thwaites Glacier; can you let me know how to find out the results of this aerial radar survey (either from a NASA website or from a report)? Hi Dale. You can find out about the Icebridge missions on the NASA website. Data is available to download on request from the NSIDC, including a list of publications using Icebridge data. To find out about a specific mission, you would need to ask the Icebridge people. Can you recommend any websites that contain relatively recent processed data from the GRACE satellite regarding ice mass loss from the WAIS and/or EAIS? You can find out a lot of information about the GRACE satellite on the GRACE website, but most information using the GRACE data appears in peer-reviewed publications. For example, Chen et al. 2007 discuss the recent change in the Patagonian Ice Sheet, and in the Antarctic Ice Sheet. Skeptical Science also discuss the use of GRACE data in measuring ice mass loss from these ice sheets. NASA also summarises some recently published work. What is a glacier that moves in a surge called? A glacier that has periodic episodes of faster and slower flow is called a surge-type glacier. You can learn more about Surge-Type glaciers here. Which are the fastest and slowest moving glaciers on Earth? Jakobshavn Isbrae in Greenland is generally considered to be the fastest glacier in the world, with speeds of up to 40 metres per day. Many glaciers in Greenland and in the Antarctic Peninsula are accelerating, which is generally attributed to warmer conditions and more meltwater lubricating the bed of the glacier. Jakobshavn Isbrae is an ice stream, which means that it is very large, drains a large proportion of the ice sheet, and flows very quickly. Look at the table to see the velocities measured for some of the fastest glaciers in the world. The slowest glaciers in the world are cold-based glaciers, which often only move very slowly. These glaciers are frozen to their bed and have little basal sliding. The velocity and flow of a glacier is mostly controlled by its thermal regime. Are there subglacial caverns under the mountains buried under the ice? Since there are subglacial lakes in Antarctica and at least some of those lakes are know to be interconnected, then isn’t it possible that there are also subglacial caverns eroded over millions of years inside the mountains buried under the ice? Hi Frank, I’m a bit confused by this question I must admit. Are you asking about karst landscapes, or subterranean lakes? It’s a really interesting question and one that I must admit is difficult to answer with our current understanding of Antarctic geology. It’s possible that it would be difficult to erode large caverns (such as you might see in limestone landscapes) as the pressure caused by the weight above may cause the rocks to collapse. More research to uncover Antarctica’s geology may help to understand this! Why and how have glaciers in Antartica come into existence? Glaciers began in Antarctica around 35 million years ago during a period of cooling climates. As the Antarctic continent drifted south, the Drake Passage opened, allowing the Antarctic Circumpolar Current to become established. This current effectively isolated Antarctica from heat transfer from further north, resulting in cooling. So, with its drift southwards to the South Pole, uplift of the Antarctic Peninsula mountains and the cooling effect of the circumpolar current, glaciers began to form on the mountains of Antarctica. See this article about Antarctic Peninsula Ice Sheet Evolution. The evidence for this mostly comes from offshore drilling programmes. The Sirius Group provides evidence of ancient glaciation in Antarctica from long ago, up to 15 million years ago. 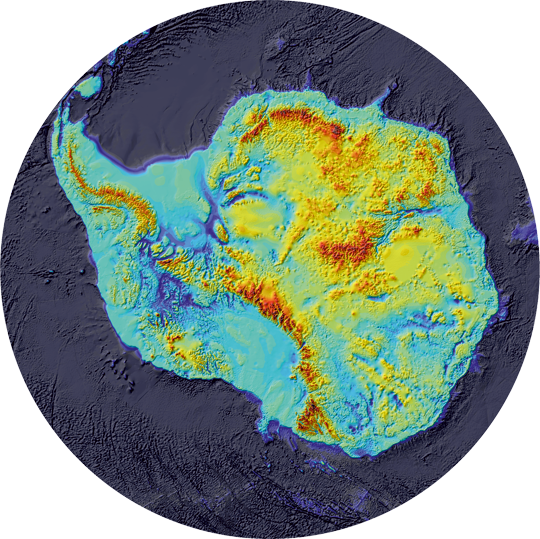 Volcanoes in East Antarctica provide evidence of glaciation in the Miocene (12-15 million years ago). What is currently happening to the glaciers in Antarctica? Most of the glaciers in Antarctica are currently shrinking. Around 87 % of the glaciers of the Antarctic Peninsula are in recession, and glaciers at the northern end of the Antarctic Peninsula are currently shrinking rapidly. You can read more about this in this Blog Post. In West Antarctica, Pine Island Glacier (PIG) is shrinking and thinning and accelerating, and this is a concern as it is grounded well below sea level. PIG drains much of West Antarctica, and rapid change here has implications for marine ice sheet instability. Pritchard and Vaughan (2009) note that there is some thickening in the Siple Coast ice streams, and there is less change in many of the glaciers in East Antarctica. However, ice shelves around East Antarctica are thinning and receding, which may cause rapid glacier acceleration and recession if they collapse. If all the ice in Antarctica were to melt, how much would global sea level rise? How quickly is this likely to happen? This is a very difficult question to answer. The West Antarctic Ice Sheet has a global eustatic sea level contribution of 3.2 m – that is, if all the ice in this area melted, global sea level would rise by 3.2 m. The Antarctic Peninsula Ice Sheet would contribute 0.24 m to global sea level rise on full melting, and currently contributes 0.22±0.16 mm per annum. The East Antarctic Ice Sheet has a sea level equivalent of approximately 60 m.
Global sea levels are predicted to rise by 20-60 mm by 2100, and possibly up to 1 metre. This is mostly from glacier melt and thermal expansion of the oceans. It does not include inputs from dynamic changes to ice sheet flow. The West Antarctic Ice Sheet rests on ground below sea level (see Marine Ice Sheet Instability Hypothesis), which makes it potentially unstable. It is possible that this could collapse rapidly and raise sea levels by 3.2 m, possibly within 500 years. Sea level increase of this rate and magnitude have been noted previously in the palaeo record. The West Antarctic Ice Sheet has probably collapsed in the past, when temperatures were comparable with today’s or temperatures projected in the next few centuries. 1. Bamber, J.L., Riva, R.E.M., Vermeersen, B.L.A., and Le Brocq, A.M., 2009. Reassessment of the potential sea-level rise from a collapse of the West Antarctic Ice Sheet. Science, 2009. 324(5929): p. 901-903. 2. Pritchard, H.D. and Vaughan, D.G., 2007. Widespread acceleration of tidewater glaciers on the Antarctic Peninsula. Journal of Geophysical Research-Earth Surface, 2007. 112(F3): p. F03S29, 1-10. 3. Willis, J.K. and Church, J.A., 2012. Regional sea level projection. Science, 2012. 336: p. 550-551. 4. Ivins, E.R., 2009. Ice sheet stability and sea level. Science, 2009. 324: p. 888-889. 5. Bentley, M.J., 2010. The Antarctic palaeo record and its role in improving predictions of future Antarctic Ice Sheet change. Journal of Quaternary Science, 2010. 25(1): p. 5-18. 6. Joughin, I. and Alley, R.B., 2011. Stability of the West Antarctic ice sheet in a warming world. Nature Geosci, 2011. 4(8): p. 506-513. Can you recommend any online materials that would be suitable for using as a starting point in introducing a pre-schooler to the world of glaciers? Is volcanic activity contributing to the melting of the West Antarctic Ice Sheet? Wow, this is an interesting question! You can learn all about subglacial volcanoes here. The West Antarctic Ice Sheet has many subglacial lakes beneath it; geothermal heating is thought to contribute to the melting of the base of the West Antarctic Ice Sheet. However, the extent of this, and the rate, is very poorly known and currently not included in glaciological numerical models. Actual volcanoes may, during eruptions, melt quite large portions of the ice sheet around them. In Iceland, volcanic eruptions beneath the ice sheet regularly cause catastrophic floods, called jokulhlaups. Subglacial volcanoes are therefore probably contributing at least a little to Antarctic ice sheet melt; the extent to which this is happening is probably reasonably stable over longer timescales. I thought glaciers were made of snow, so why do glaciers sometimes look blue and not white? When snow falls on glaciers, it forms layers. Older snow becomes compressed by the weight of new snow on top of it. This is called firn. Gradually, more and more snow falls on top of this firn, compressing it further. This eventually becomes glacier ice. The crystal is changed, and glacier ice is typically crystal clear. The refractive properties of this crystal makes it appear blue. Do all glaciers have lakes beneath them? This is a very interesting question and the subject of much ongoing research. 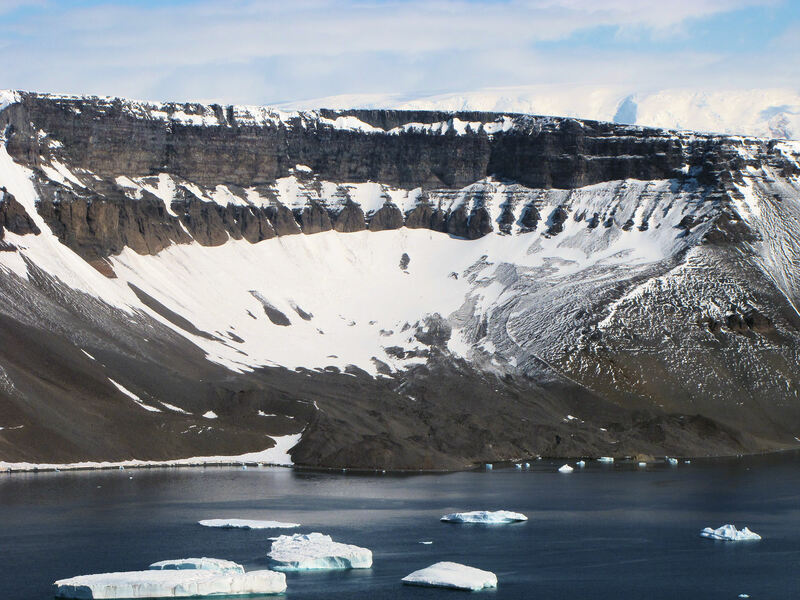 The current hypothesis is that most major ice sheets had lakes beneath them, and current work is attempting to find evidence of these in the geological record, for example, underneath the last British-Irish Ice Sheet. In terms of smaller valley glaciers, for example, in the Alps, it would depend on their thermal regime, size, and the availability of bedrock basins and topographic lows in which water could accumulate. What is a glacier surge? Surge-type glaciers are characterised by flow instabilities, with periods of fast flow followed by long quiescent periods. They are slow moving during their quiescent phases, when they thin and melt in their lower reaches, but accumulate snow and ice in their upper parts. The surge typically lasts 1-10 years, with quiescent phases of 10-100 years in Svalbard. Surge-type glaciers are common in smaller, polythermal glaciers, in places like Svalbard, but typical surging behaviour (repeated periods of rapid ice flow, interspersed with regular duractions of quiet stagnation and slow or no flow) are not generally recognised in Antarctica. Rapid increases of ice flow followed by slower flow have been recognised in some Antarctic Peninsula glaciers following ice-shelf collapse; however, this is likely to have been caused by a different mechanism. For more information and photographs, see the Glaciers Online website. As glaciers flow over soft sediments, the movement of the ice above results in the sediments below being ground down and dragged along the direction of flow. See Glacial Processes for more information. Glaciers incorporate rocks and sediments into their basal ice layers as they flow over the ground. At the end of the glacier, this sediment is deposited by the constantly moving ice. See Glacial Landforms for more information. 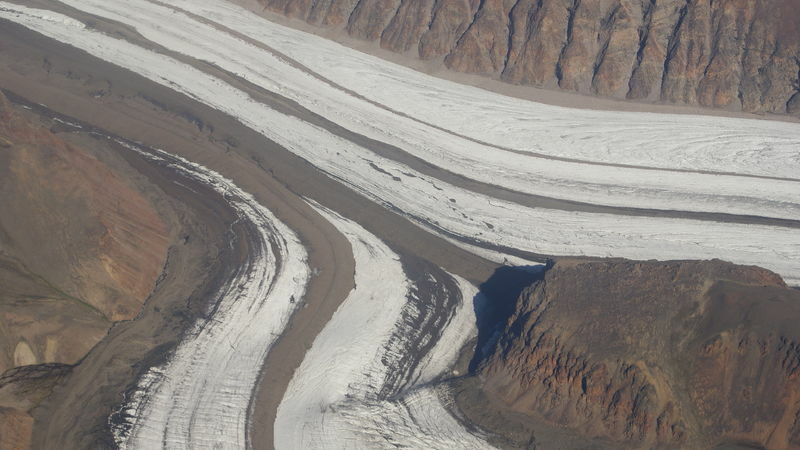 Like any heap of plastic material, glaciers flow under gravity. If there is sufficient pressure and the ice is at a high enough temperature, basal melting facilitates basal slippage and subglacial sediment deformation. No. Polar bears live in the northern Hemisphere, and penguins live in the southern Hemisphere.